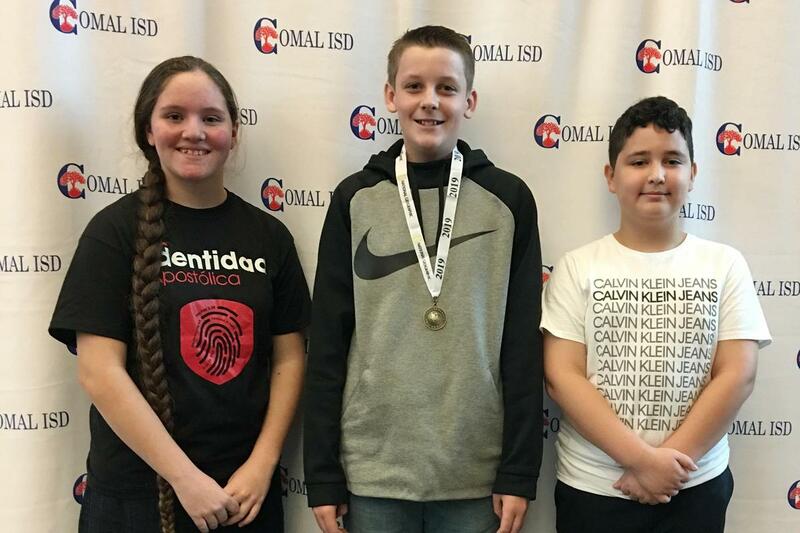 The competition is fierce for Comal ISD's 2nd Annual Geography Bee. 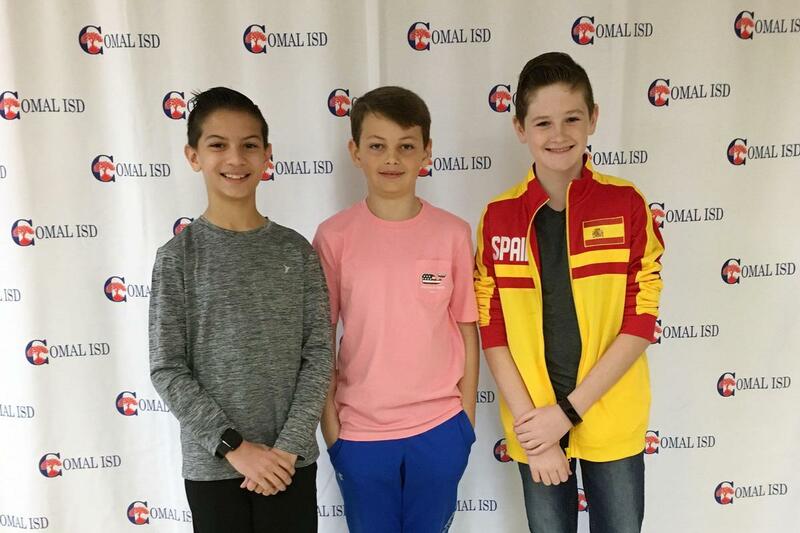 Geography Bee champions from each middle school will qualify to take an online test to determine whether they will compete for the state bee. 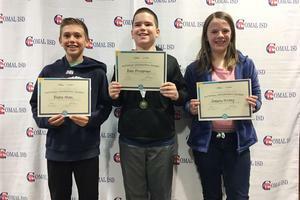 About 70 middle school students are competing for the honor of being named the champion of their campus Geography Bee. 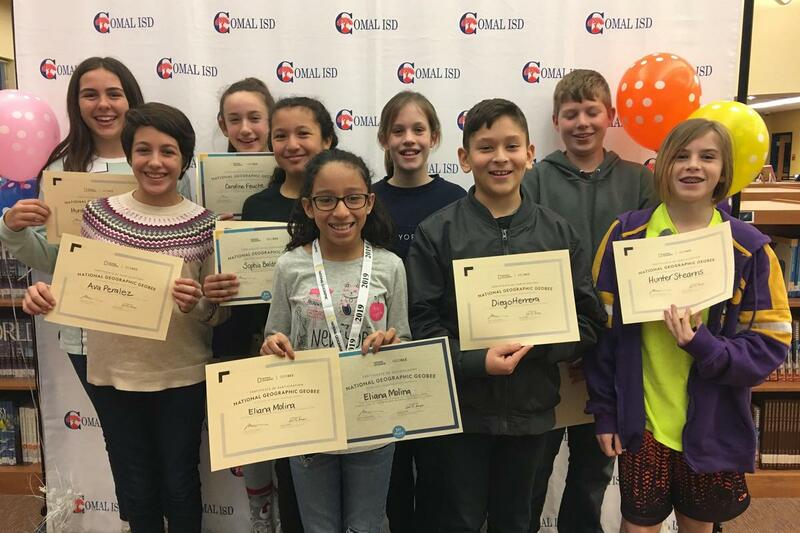 Ten students from each of Comal ISD’s seven middle schools qualified to compete in their campus’ Geography Bee after taking a district qualifying test, explained Patricia Nieto, the district’s social studies/world languages curriculum coordinator. The competition includes a final and championship round with a “spelling bee” format. 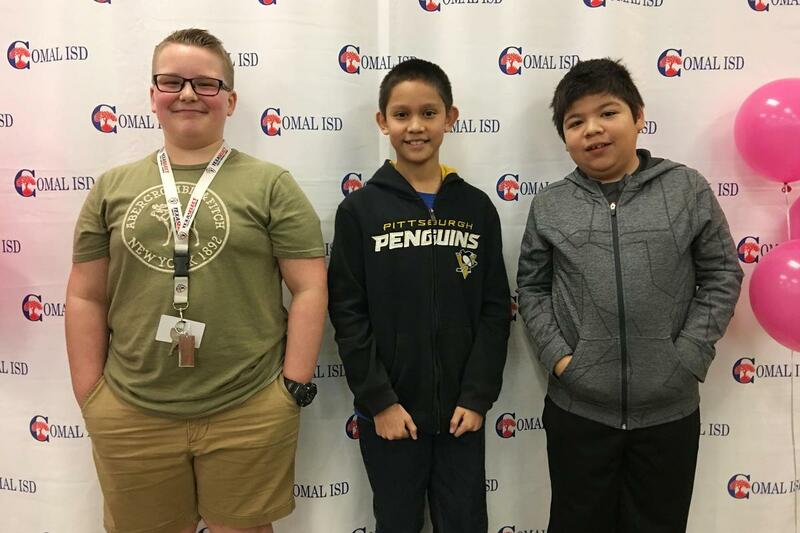 The final round comes down to two competitors who square off with a clean slate in the championship round. The championship round determines the one student who will take the online qualifying test to compete for the Texas Geography Bee. 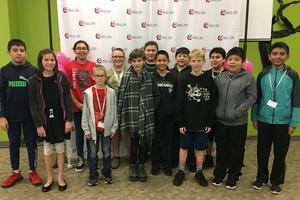 Sponsored by the National Geographic Society, the GeoBee, as it is known, was developed in 1989 in response to concern about the lack of geographic knowledge among young people in the United States. 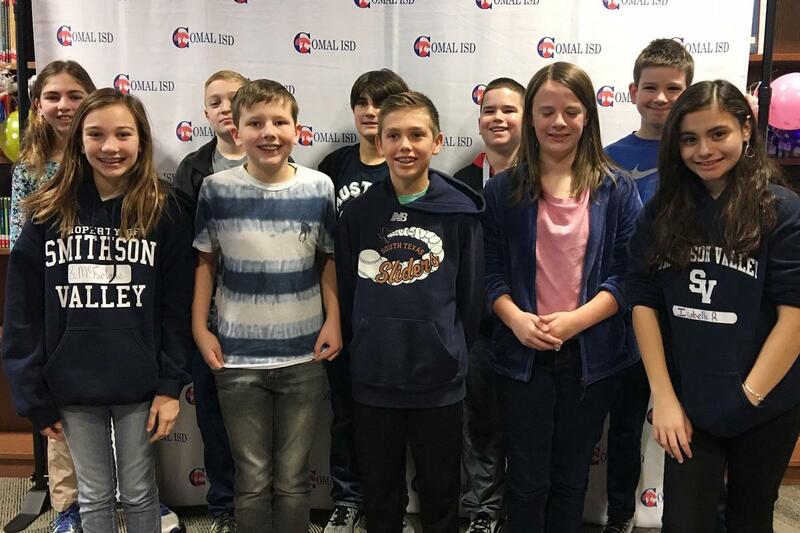 Questions cover geography, cultures, physical features, history and earth science. Here are a few examples of questions from the district’s qualifying test. 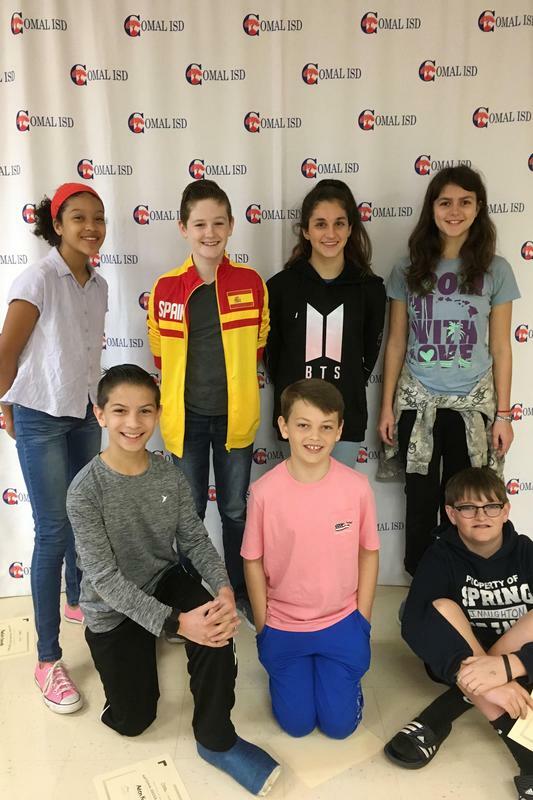 -The Danube River flows through the cities of Vienna and Budapest on which continent? -Nine Yankee baseball stadiums could fit inside the Mall of the Americas. 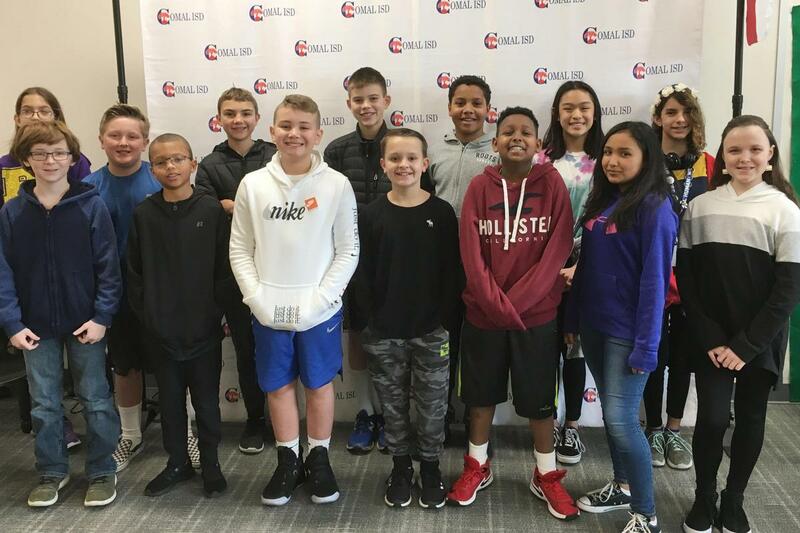 The Mall of the America is just south of Minneapolis in which state that borders Wisconsin? 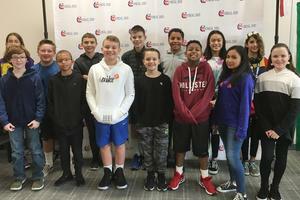 “Middle school students are still forming their worldview and studying geography provides a contextual foundation for learning about their world through their social studies class and also through connections with other classrooms,” Nieto said. 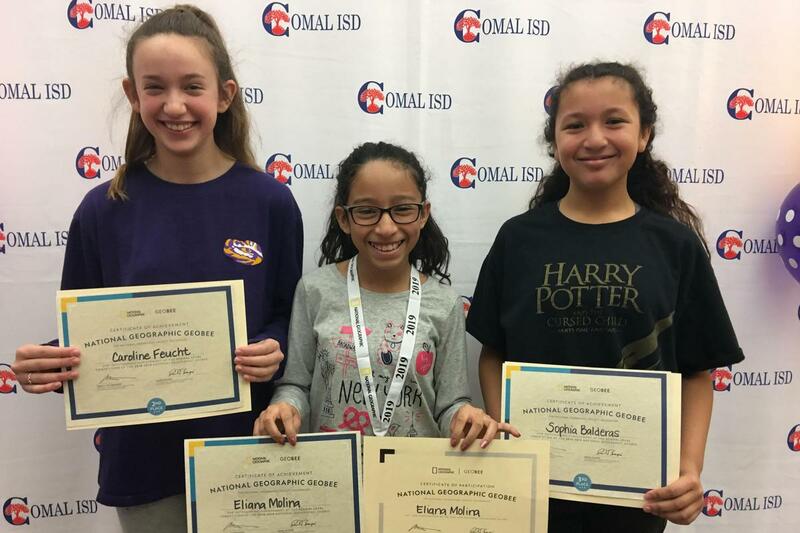 Good luck and congratulations to all Comal ISD GeoBee qualifiers! Top photo: Danville Middle School's top 10 qualifying Geography Bee honorees included Taylor Dalton, Henry Ricks, Rhegan Hay, Adriana Islas, Jose Castro, Maeson Frazier, Ella Van Dusen, Abigail Fischer-Smart, Caitlyn Mallard and Logan Degolier. 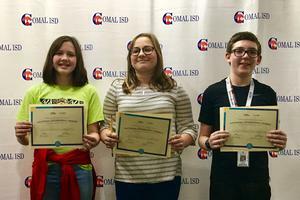 Second photo: The DMS GeoBee champion was Logan Degolier; second place was Ella Van Dusen; and in third place was Taylor Dalton. Fourth photo: MVMS GeoBee champion was Eliana Molina; second place was Caroline Feucht; and third place was Sophia Balderas. 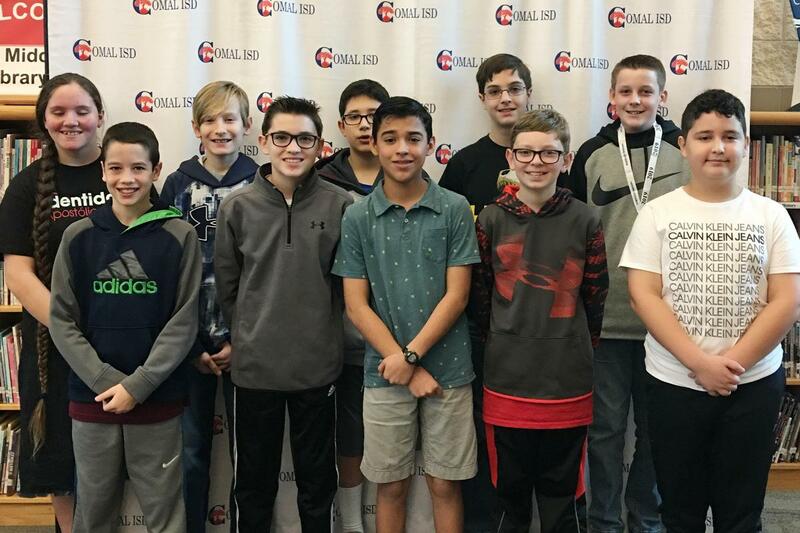 Fifth photo: Smithson Valley MS GeoBee finalists include Pedro Alcocer, Blake Allen, Ben Friedman, Bridget George, Isabella Hickey, Jackson Hopkins, Brynne McFarlane, Ayden Roat, Isabella Rodriguez and Anderson Thomas. Sixth photo: SVMS GeoBee champion was Ben Friedman; second place was Blake Allen; and third place was Isabella Hickey. 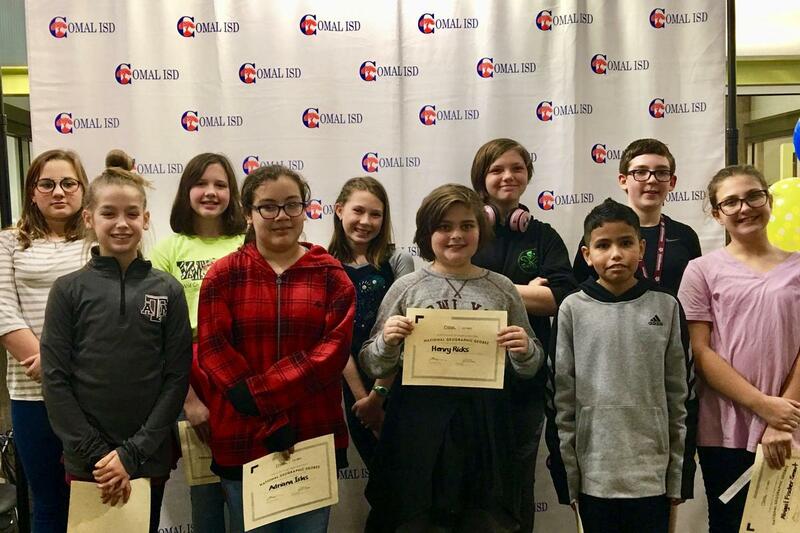 Seventh photo: Spring Branch MS GeoBee finalists include Kaelah Daniels, Chase Hassell, Aden Kellner, Madison Long, Nicholas Lyman, Ashlyn McEachern and Jake Naughton. 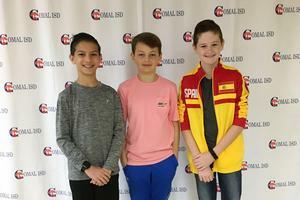 Eighth photo: SBMS GeoBee champion was Nicholas Lyman; second place was Chase Hassell; and third place was Aden Kellner. Ninth photo: Pieper Ranch MS GeoBee finalists include Gina Aguilar, Ronan Elliott, Alexander Kingdon, Alexander Nemariam, Jadon Toalson, Alaura Arringdale, TJ Boakye, Malia Dimas, Lauren Taylor Fuentespina, Madeline Karnatz, Tanner Leib, Dyllon McCormick, Xander Pearson and Velton Thomson. 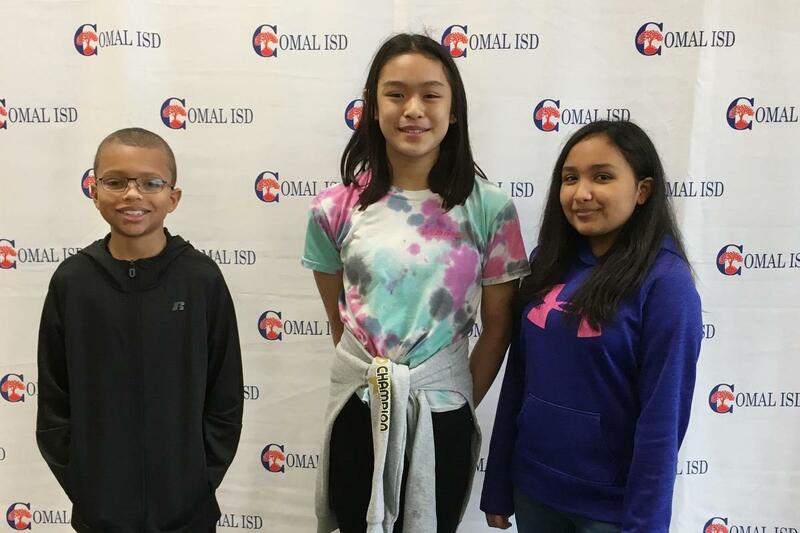 10th photo: PRMS GeoBee champion was Lauren Taylor Fuentespina; second place was Dyllon McCormick; and third place was Malia Dimas. 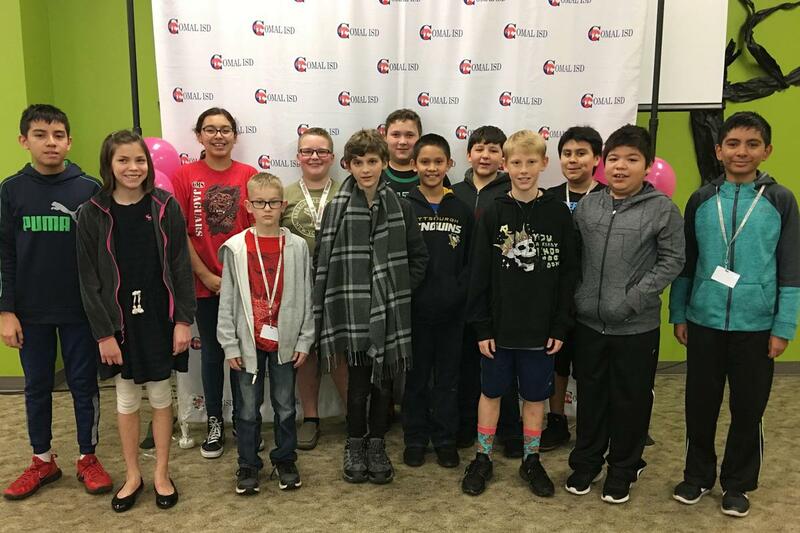 11th photo: Canyon Middle School GeoBee finalists include Daniel Pina Mosqueda, Qiana Galvan, Stephen Morena, Katelynn Boyne, Agustin Flores, Isabella Gusman, Madisyn Ortega, Noah Rea, Jackson Sevigny, Marc Mora, Jose Lugo, Louis Solis, Chase Brock, John Crowder and Mason Goldman. 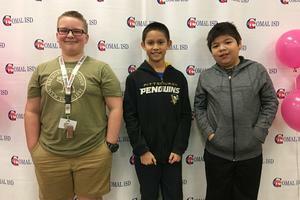 12th photo: CMS GeoBee champion was Mason Goldman; second place was Louis Solis; and third place was Jose Lugo. 13th photo: Church Hill MS GeoBee finalists include Nicholas Castillo, Noah Chandler, Benjamin Coronado, Joseph Demelli, Liana Garcia, Luke Jeckell, Evan Morgan, Parker Ott, Colton Rogers and Joseph Rodriguez. 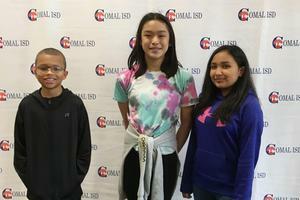 14th photo: CHMS GeoBee champion was Parker Ott; second place was Joseph Rodriguez; and third place was Liana Garcia.